In a released statement, the animal rights organization claims to have been left horrified by the ‘All Night’ rapper’s choice of outfit for his February 3 performance with Travis Scott and Maroon 5. 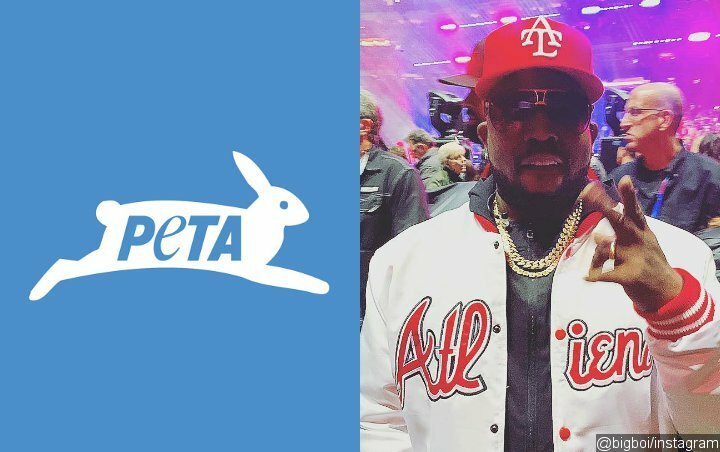 Bosses at PETA (People for the Ethical Treatment of Animals) are slamming Big Boi after the rapper wore fur during his Super Bowl halftime performance. The star took the stage during the sporting event on Sunday, February 03, along with Travis Scott (II) and Maroon 5, and stirred controversy with his choice of look. “Hey, @BigBoi! The way you move is horrifying when animals have to DIE for your outfit. #SuperBowl #SBLIII #Halftime,” a statement tweeted by members of the organisation read. According to TMZ, PETA claims 25 red foxes were killed to create the item and have made a letter written to the hip hop sensation public, in which they urge him to look into faux fur pieces, even promising to send him one. “Our hearts sank when you took the stage during the Super Bowl in a fur coat,” the letter read. “You have many, many fans here at PETA and around the country who love your music, and were thrilled when it was announced you’d be involved in the halftime show. Can we please convince you to make that your last appearance in a fur coat?”.